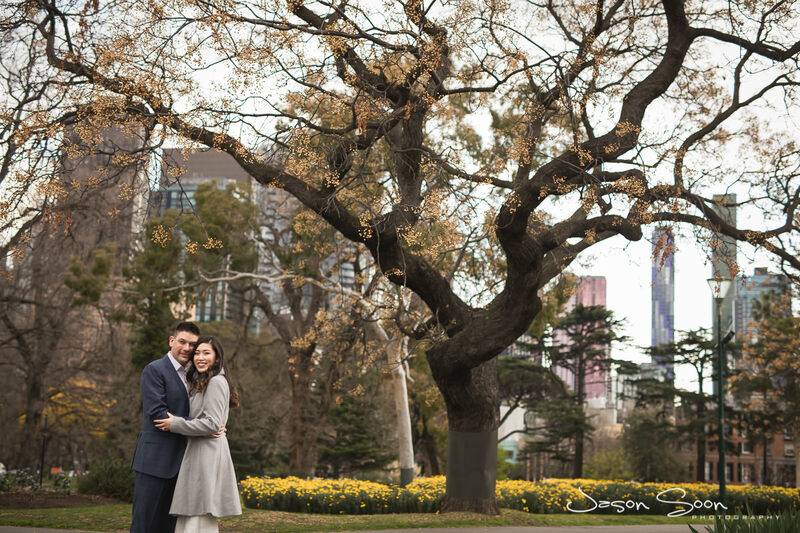 April already? :O WOW! 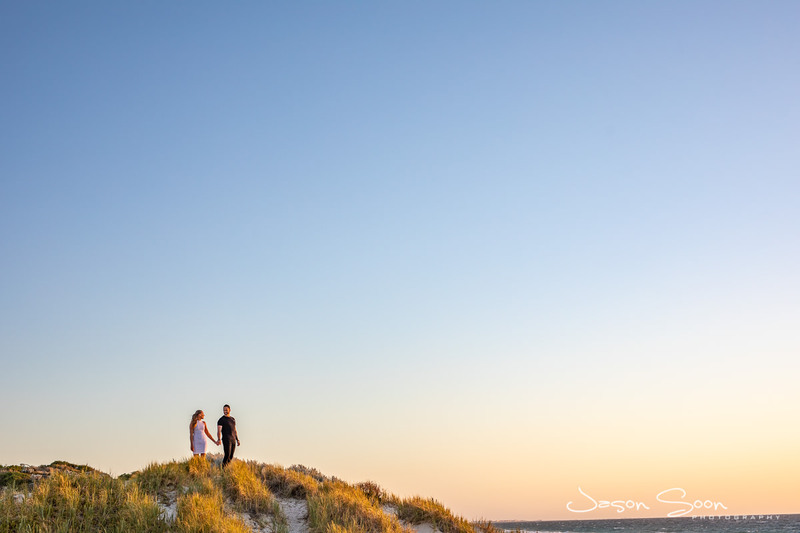 As we enter the colder months I have made it a point to include the beach on my list of photography sites. 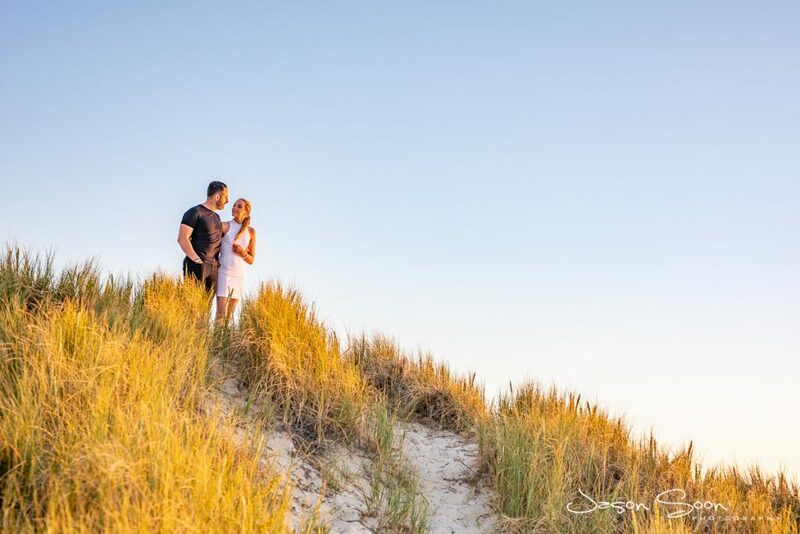 The beautiful sand paired with the great blue make for some magic moments for the lens. 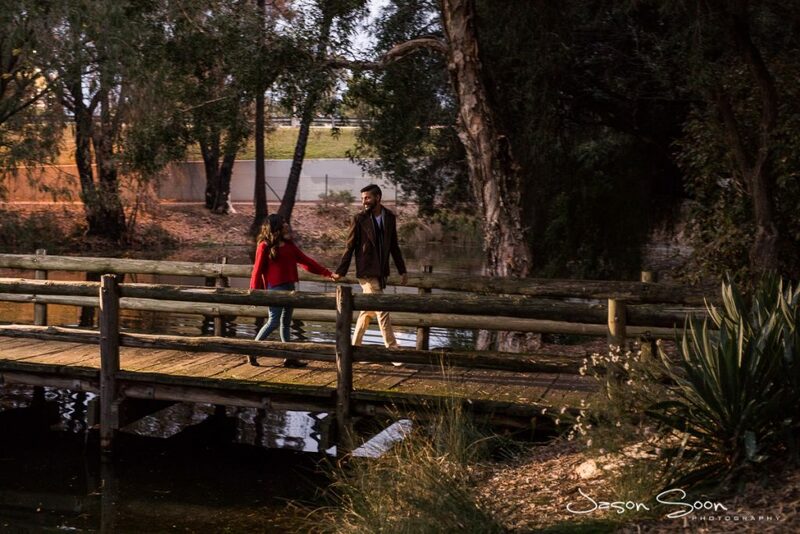 That is exactly where the love story of Carl and Teash took us. 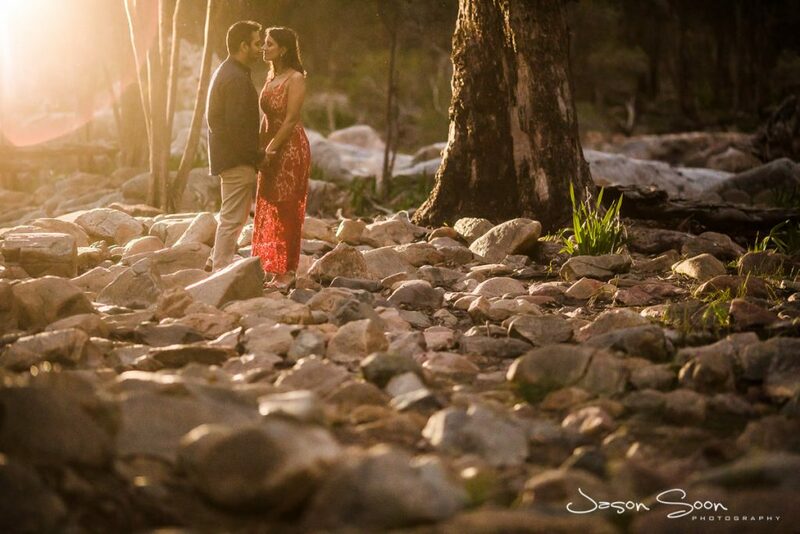 Awww these two, what more can I say other then WOW! 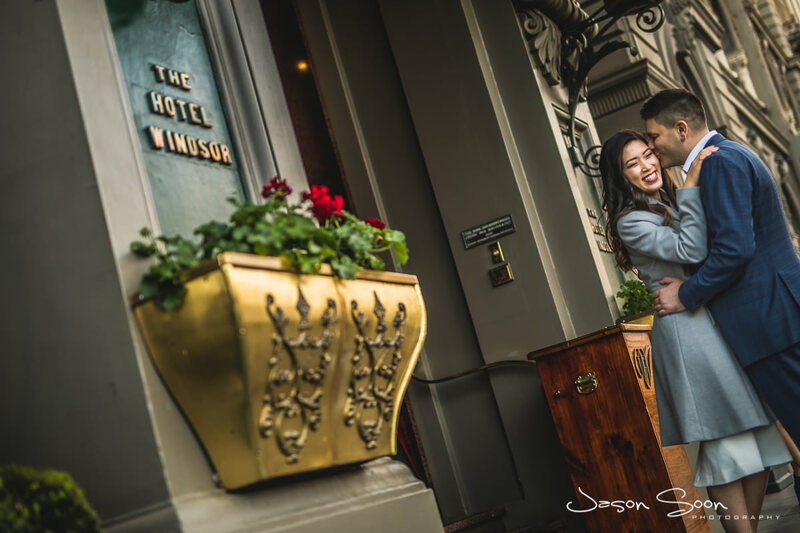 Their love is definitely one for the books and I can’t get over how they look at eachother – it really is like a fairytale romance. 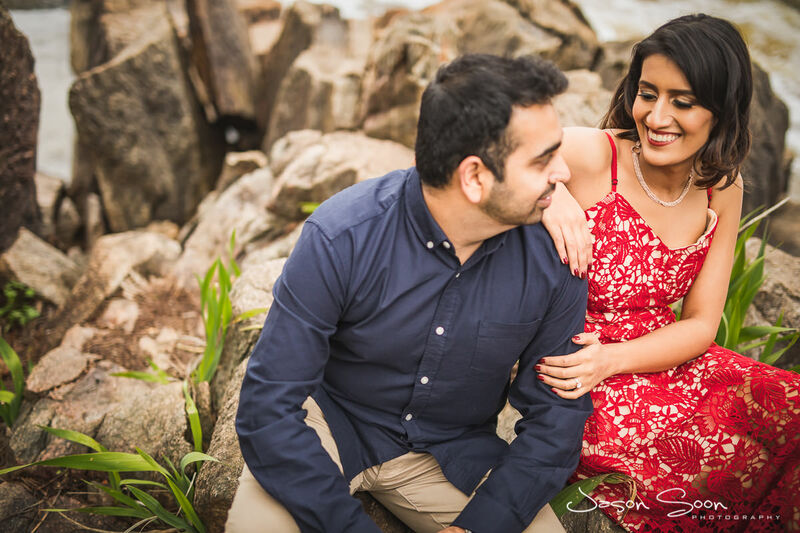 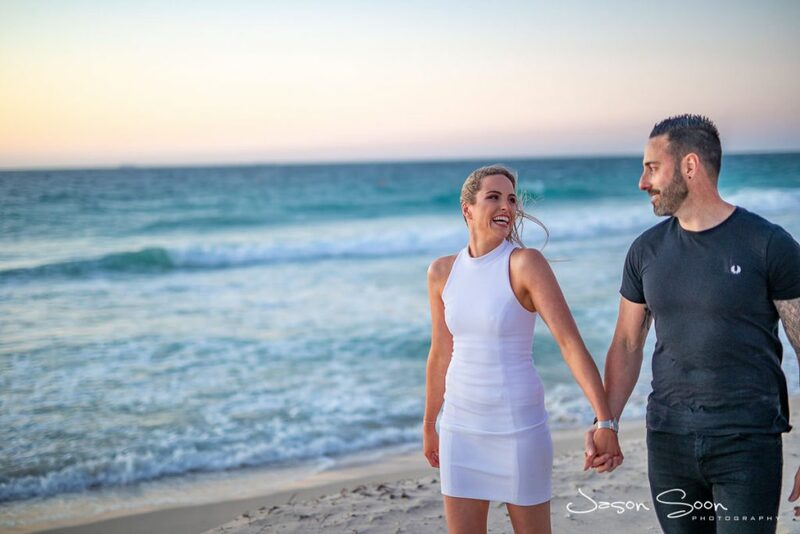 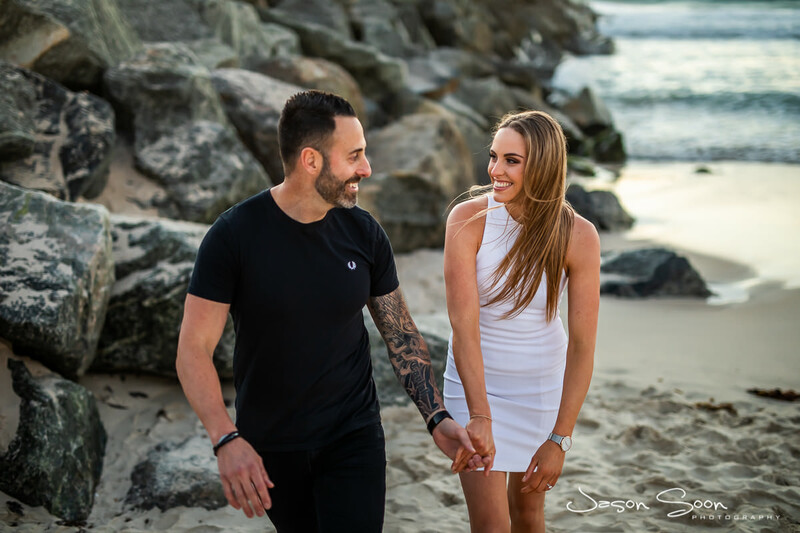 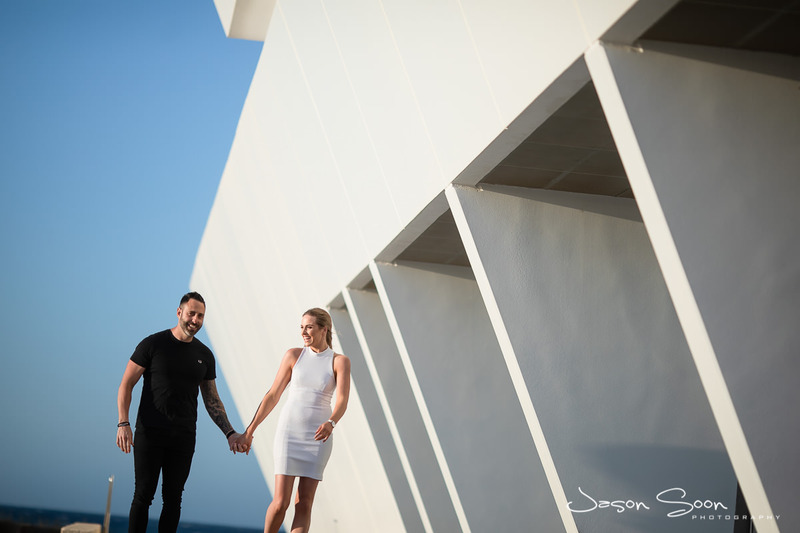 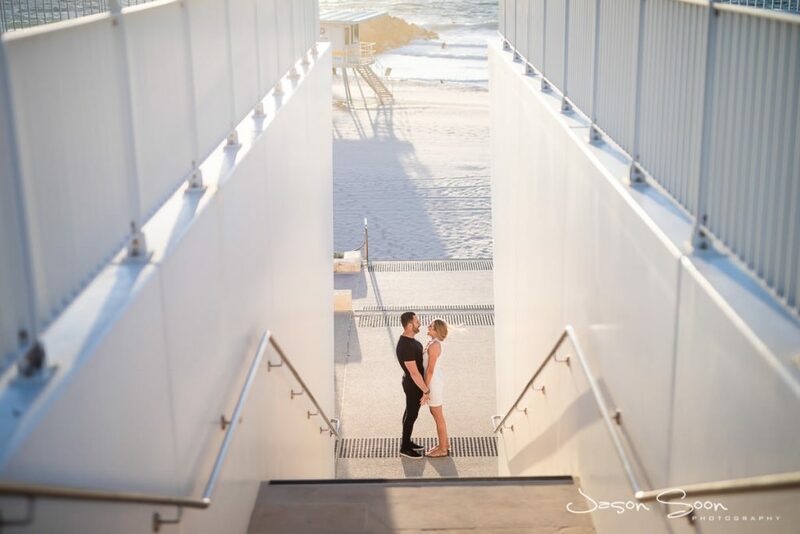 The duo booked me for a pre-wedding photoshoot and we set our sights to City Beach. OMG when I say that day was windy – I really do mean the windiest day ever. Not to be cheesy but the wind paired with their unforgettable romance blew my socks off (no pun intended). 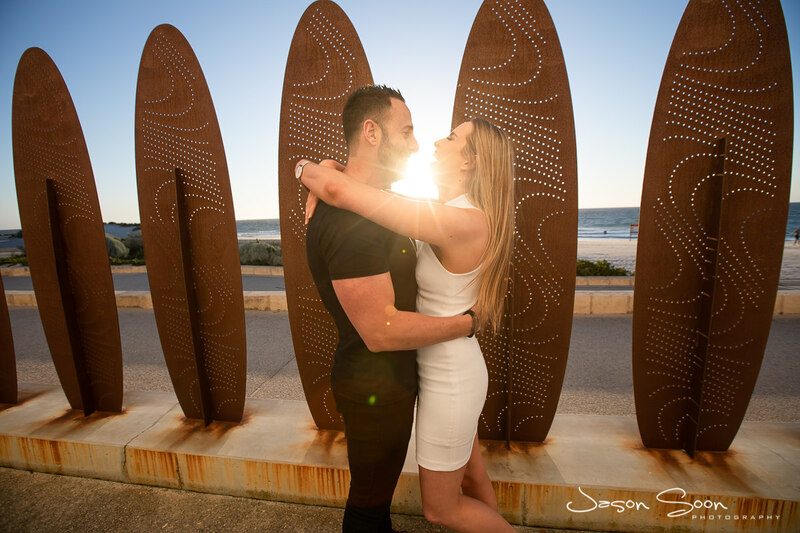 I hadn’t been to City Beach in ages so we took this opportunity to explore new unchartered areas and it really did pay off, we got some winner shots. Thank you to these lovebirds for including me – can’t wait to see what your love tale unfold. For those of you who are interested – shoot me an email to book your pre-wedding shoot. 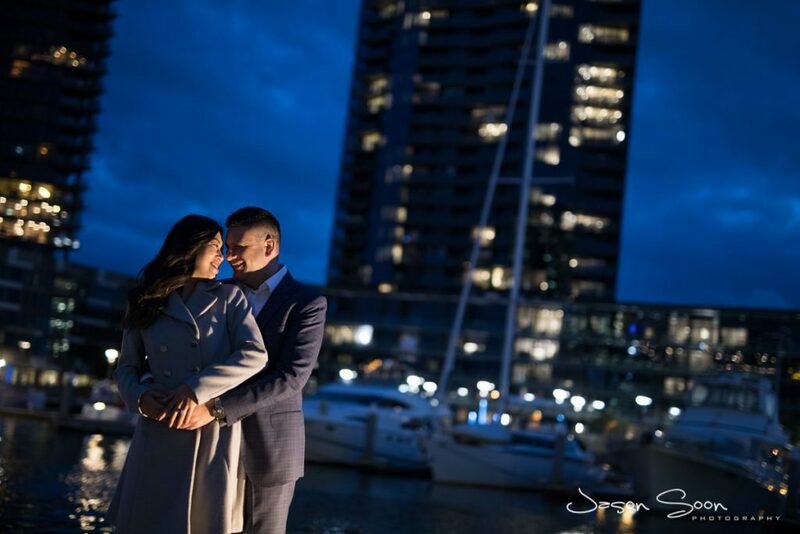 Let us make some magic together before the big day so that you have photos to reflect on this special time for years and years to come. 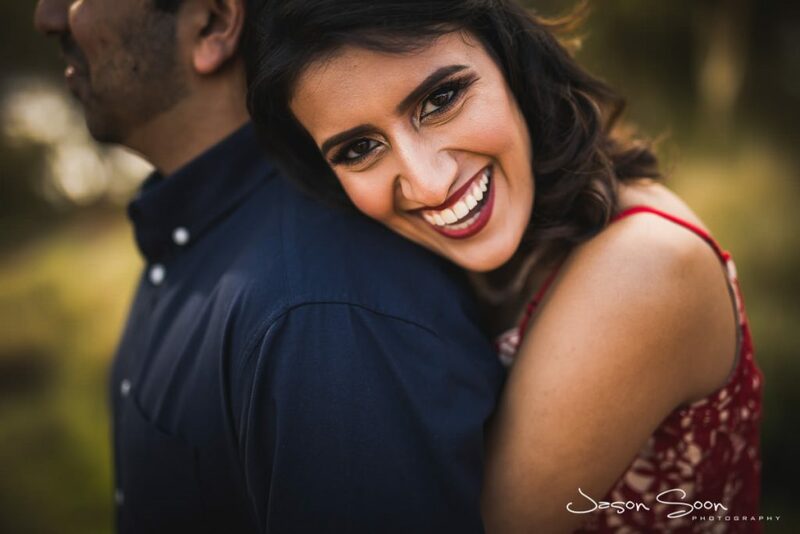 This is why I love what I do! 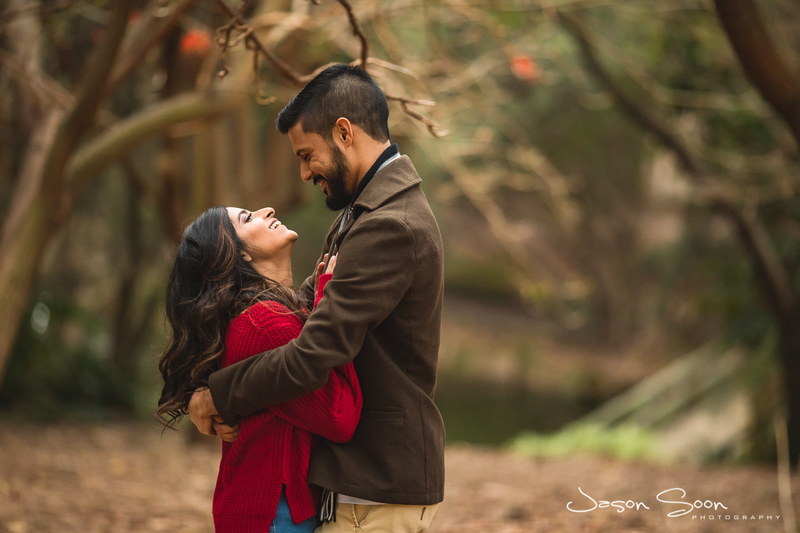 When I met Sandeep and Japleen I was immediately honoured to be a part of their love tale. 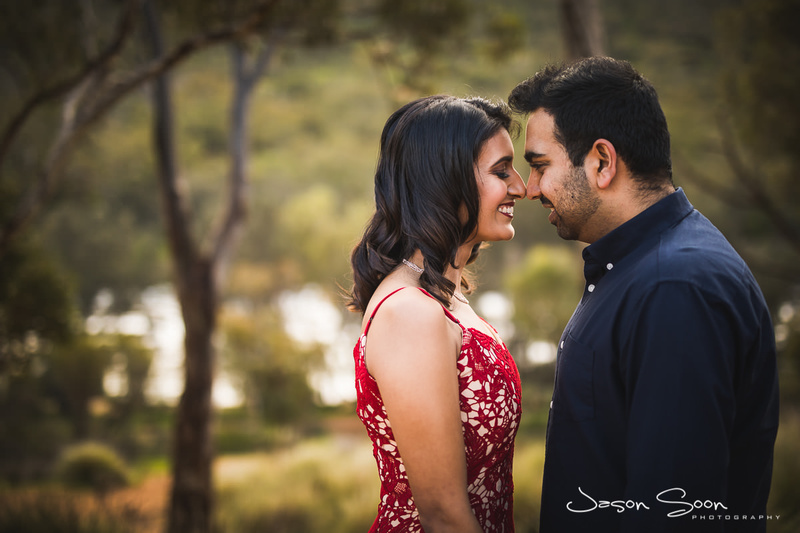 They were an absolute delight to shoot. After we caught up, I could already tell how into eachother they were – a match made in heaven I’d say! 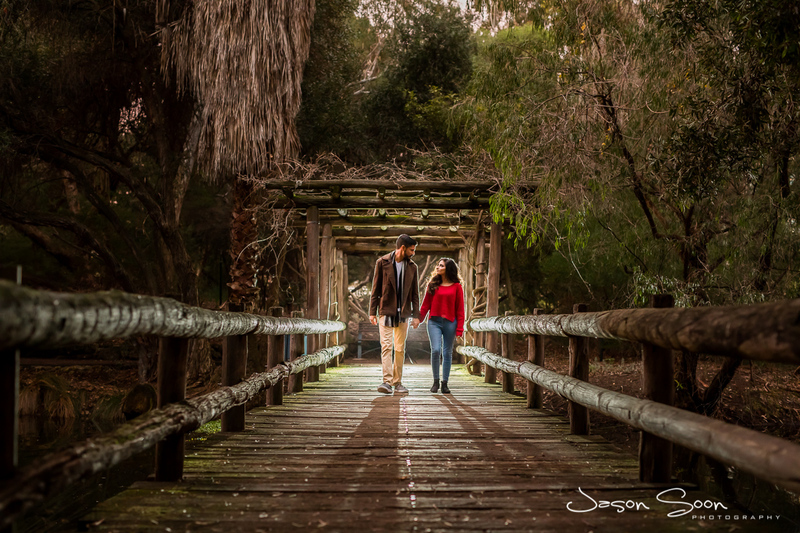 We decided to have the pre-wedding shoot at John Oldham Park, ahhh the sights are just superb. 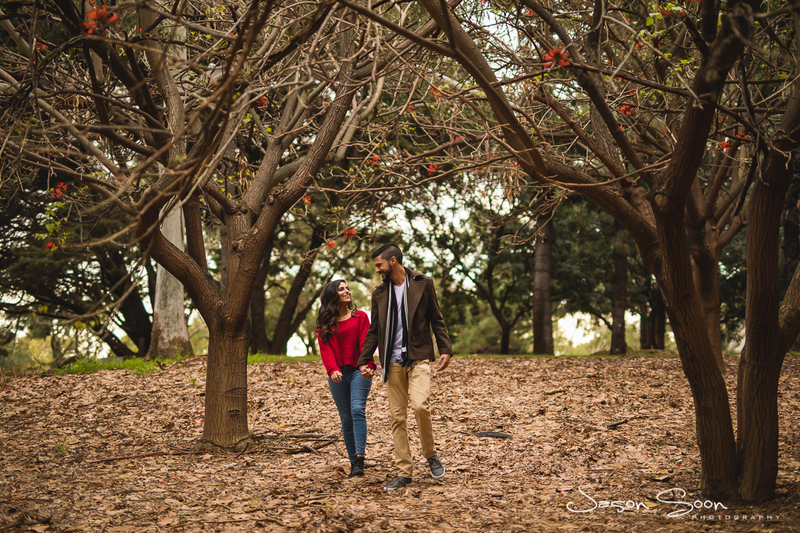 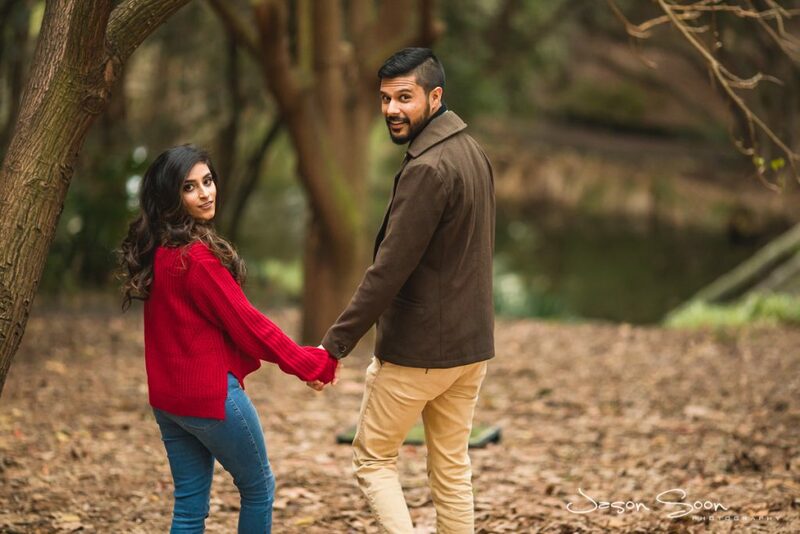 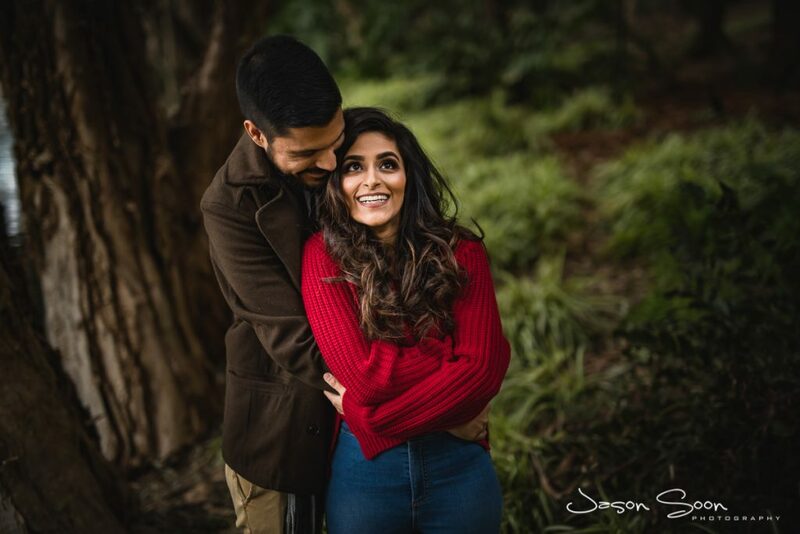 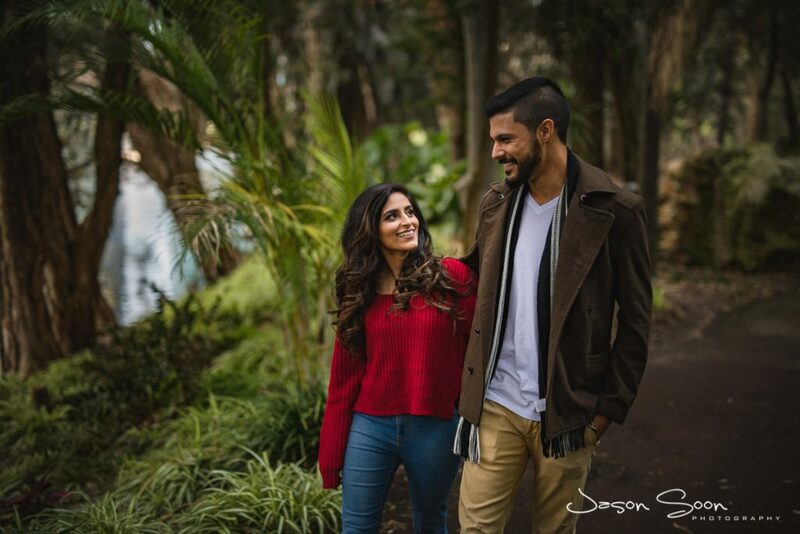 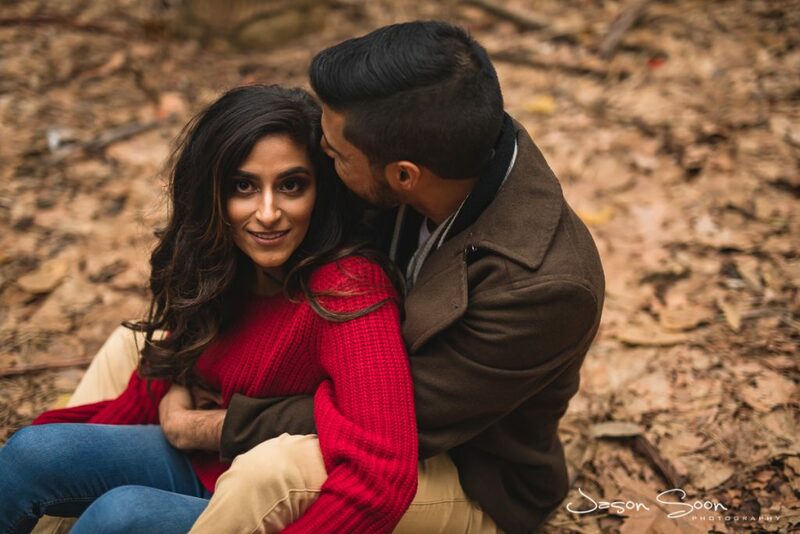 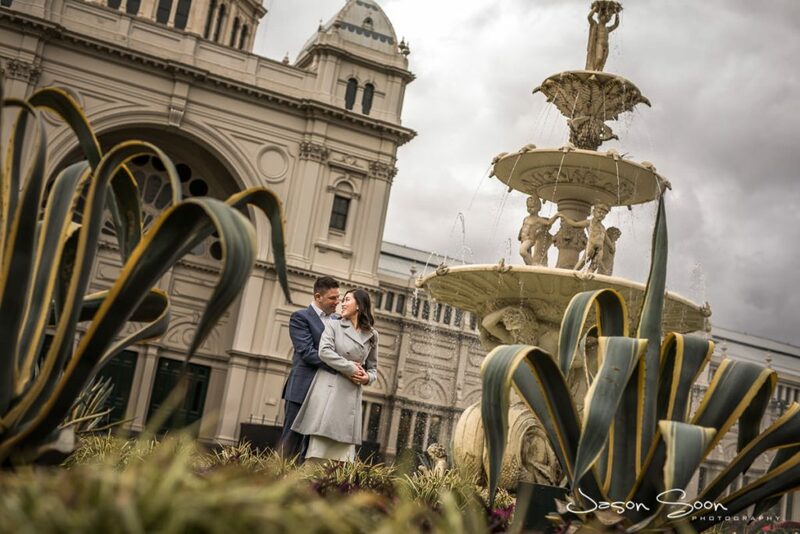 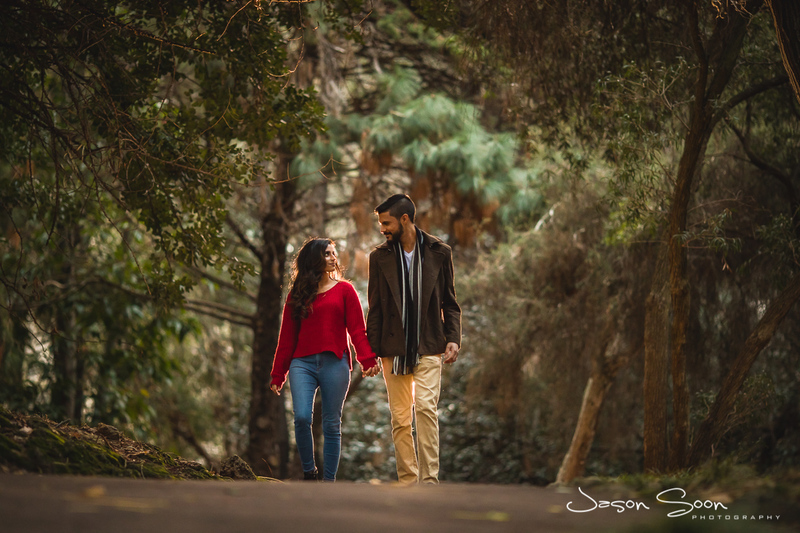 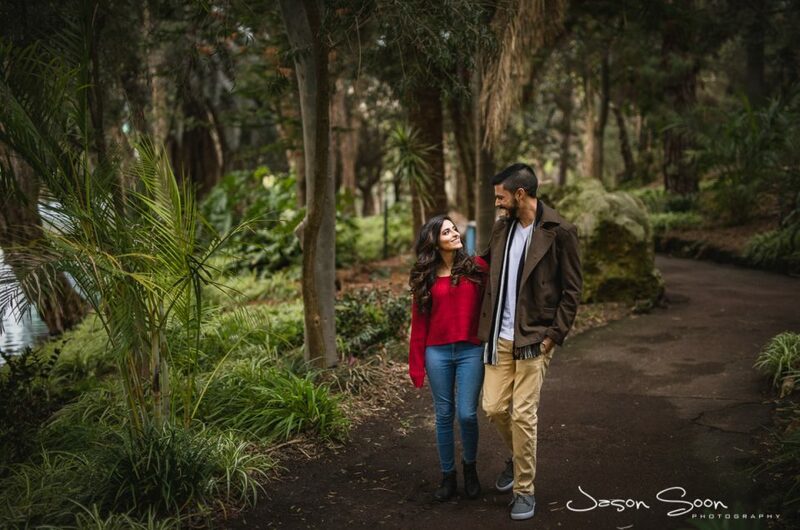 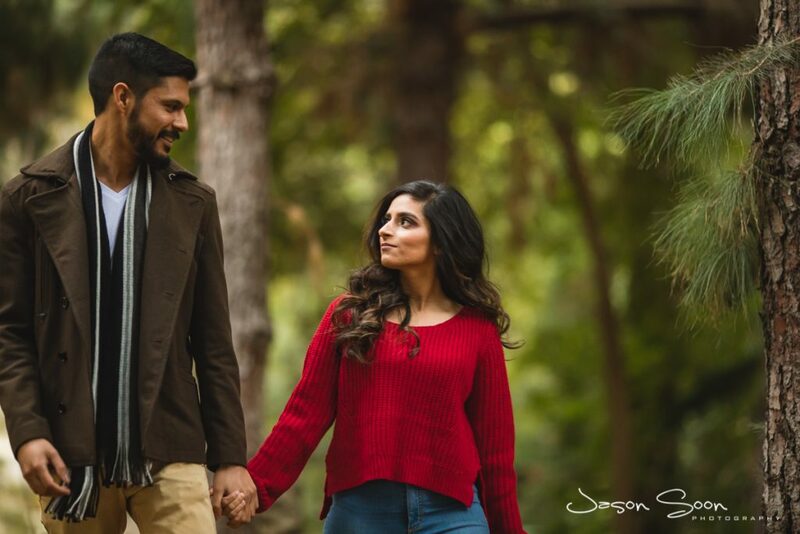 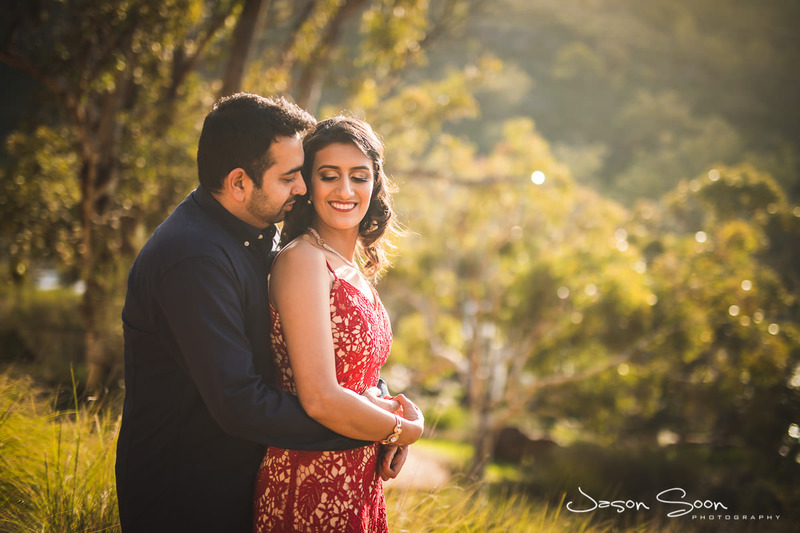 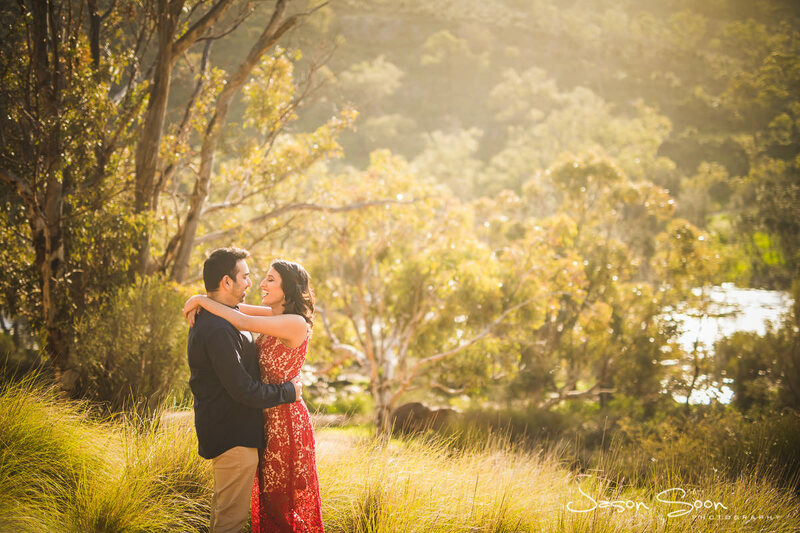 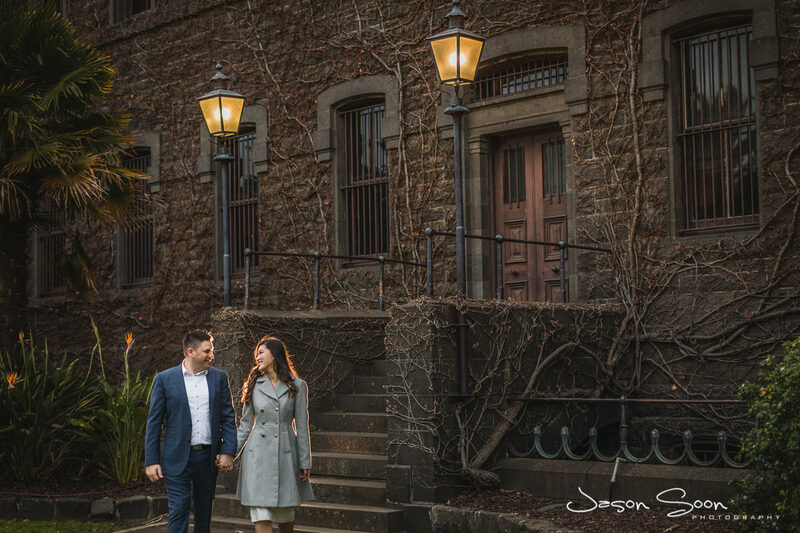 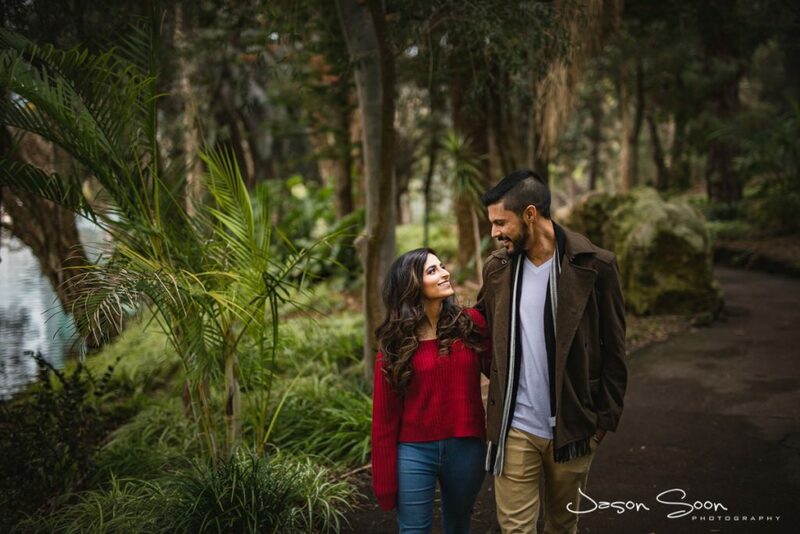 We chose to do the pre-wedding shoot in a different season to the actual wedding, to get all sorts of vibes for the pictures – turned out amazing (I mean check out the piccys!) . 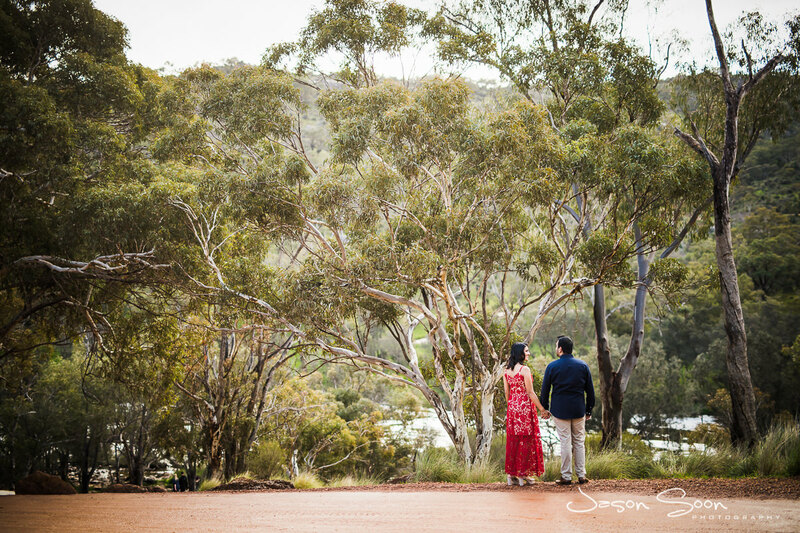 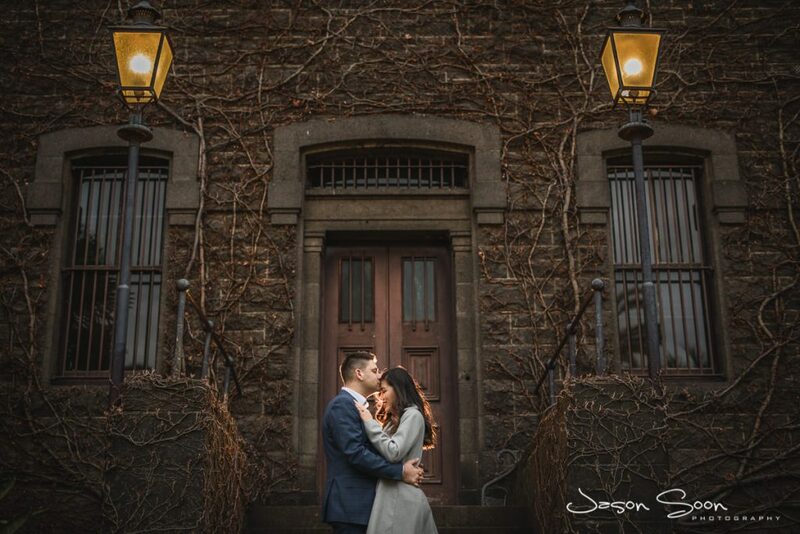 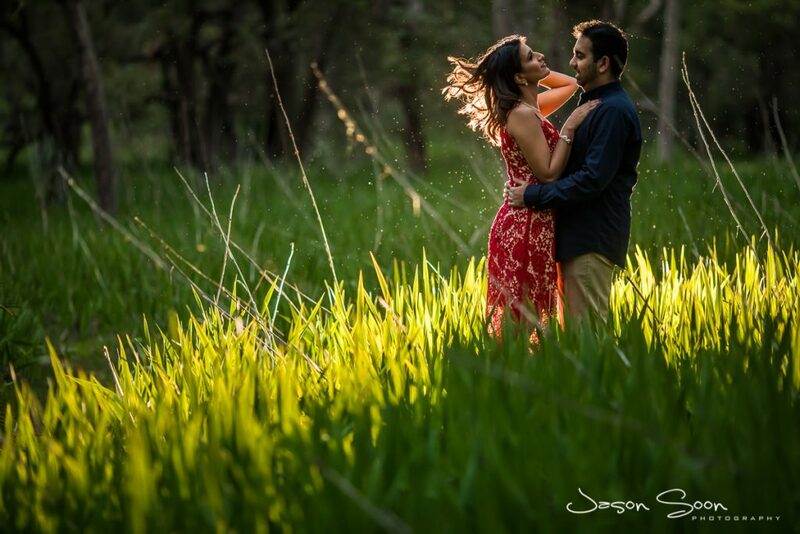 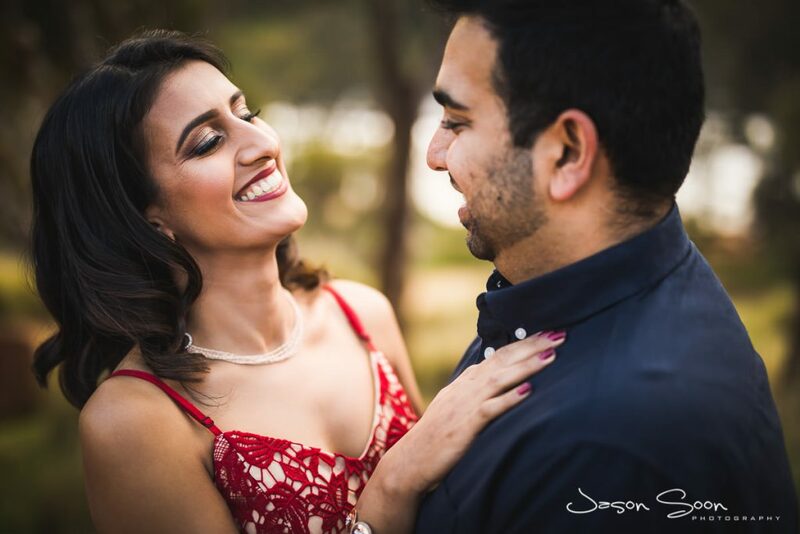 Thanks Sandeep and Japleen for weaving me into your story, your wedding was incredible and I can’t wait to share it. 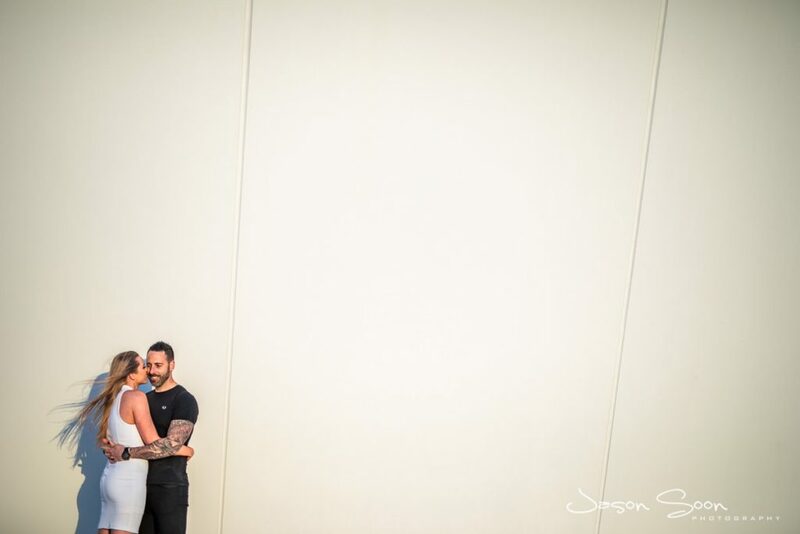 I am so in love with the love story of Janny and Adam. 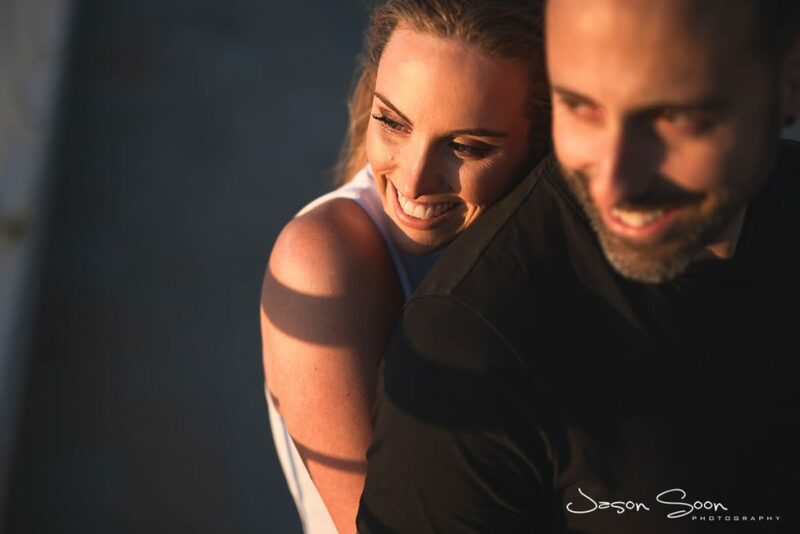 They are a force to be reckoned with and I cannot get enough of their romance. 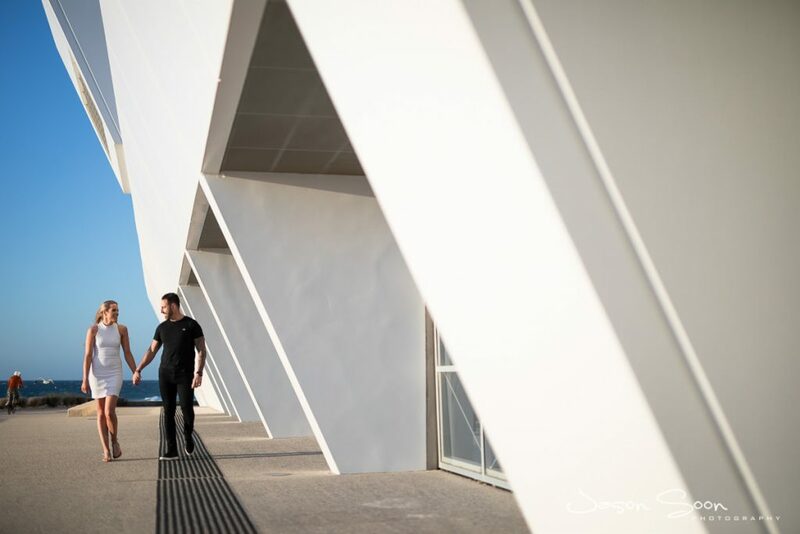 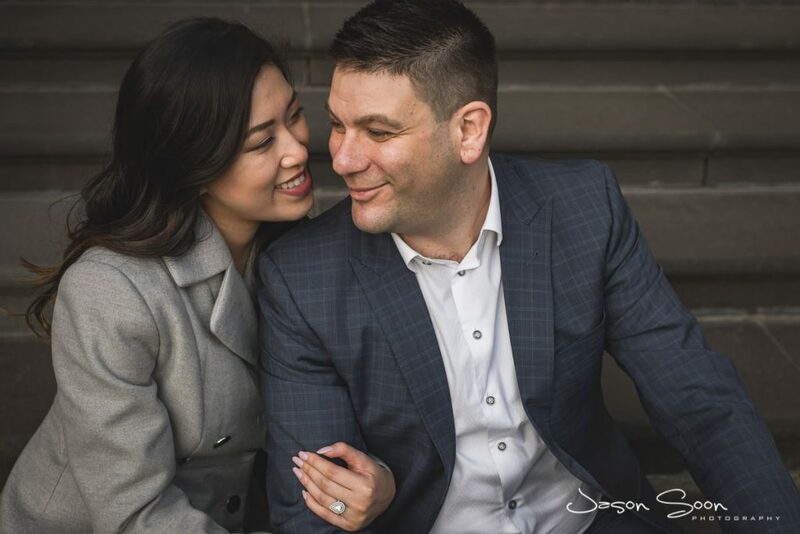 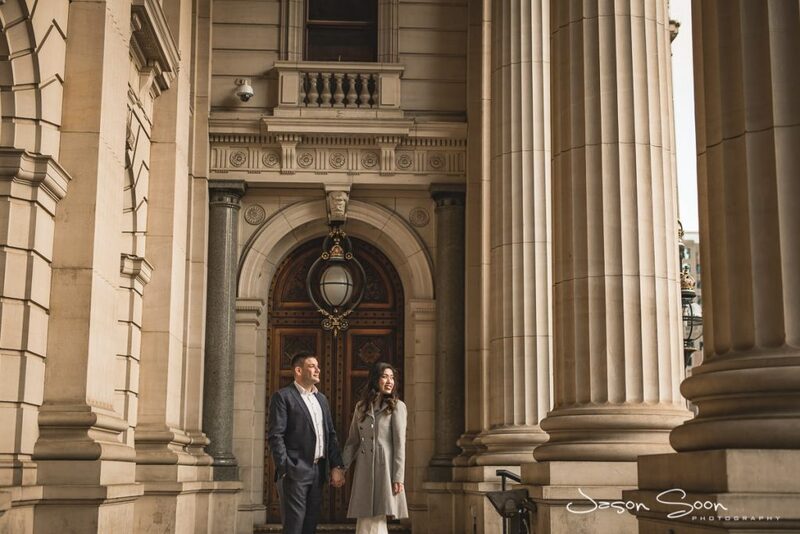 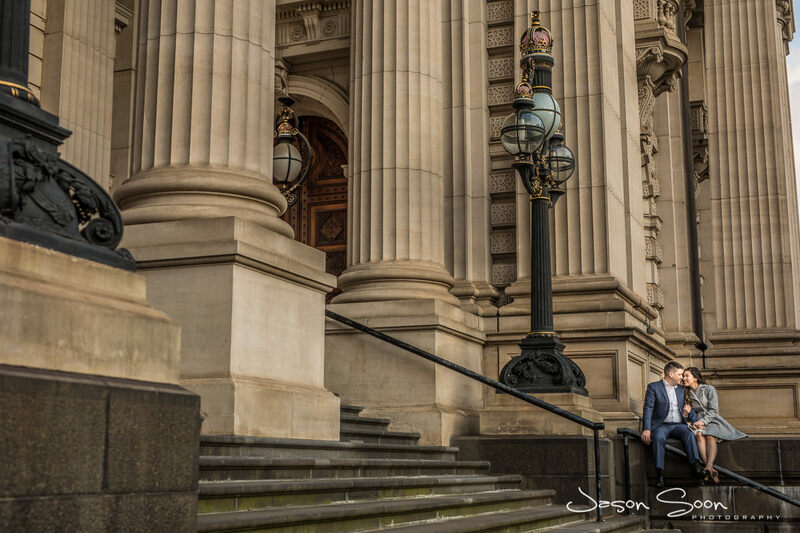 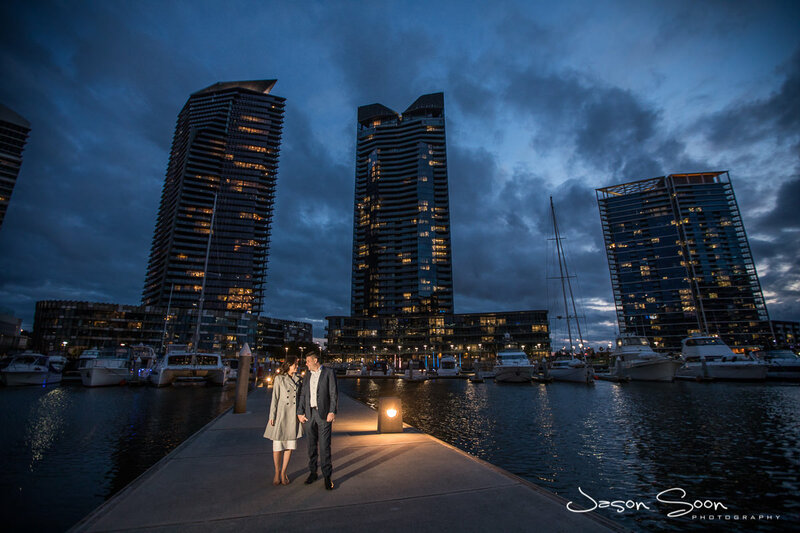 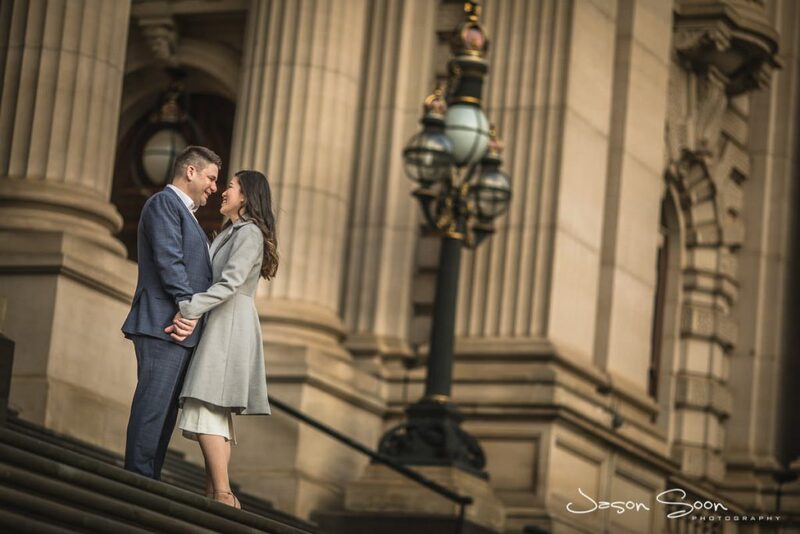 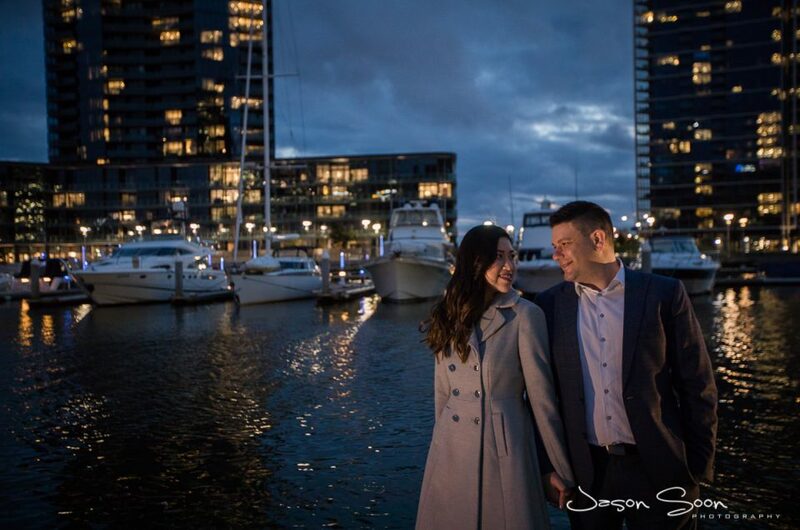 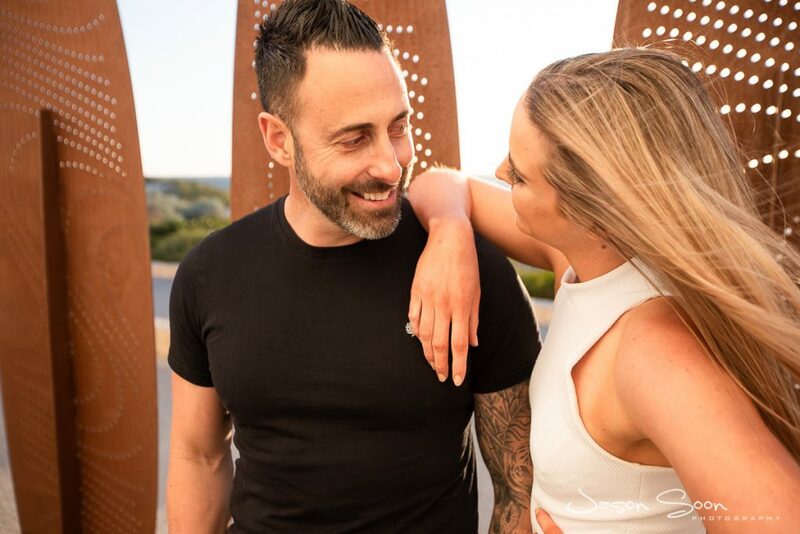 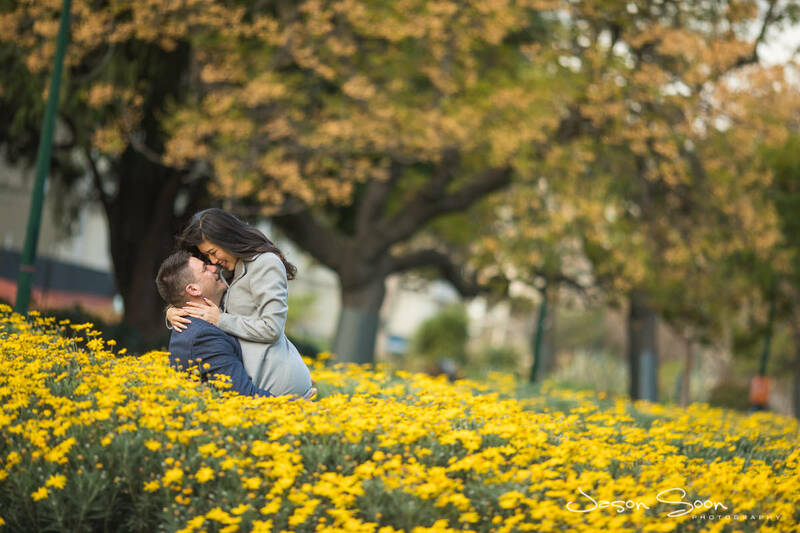 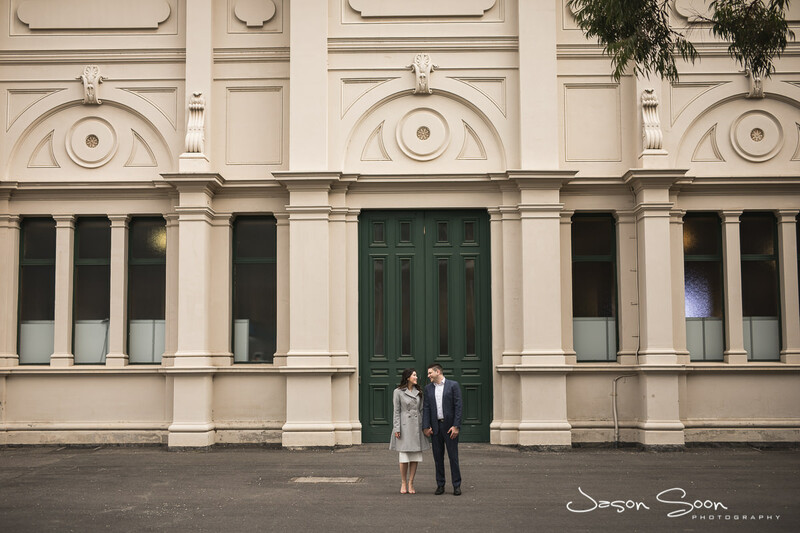 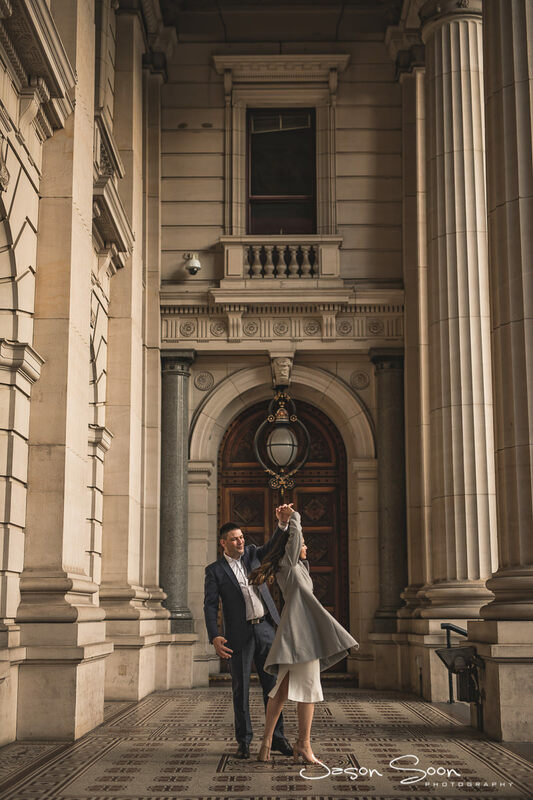 The dynamic duo flew me over to Melbourne for a pre-wedding photoshoot and needless to say – we had a blast. 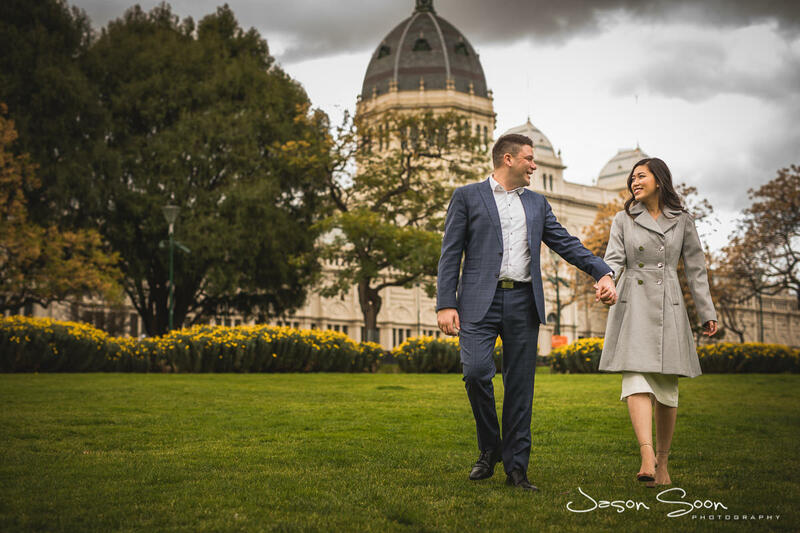 The wedding will be in Perth, as Janny is from Perth. 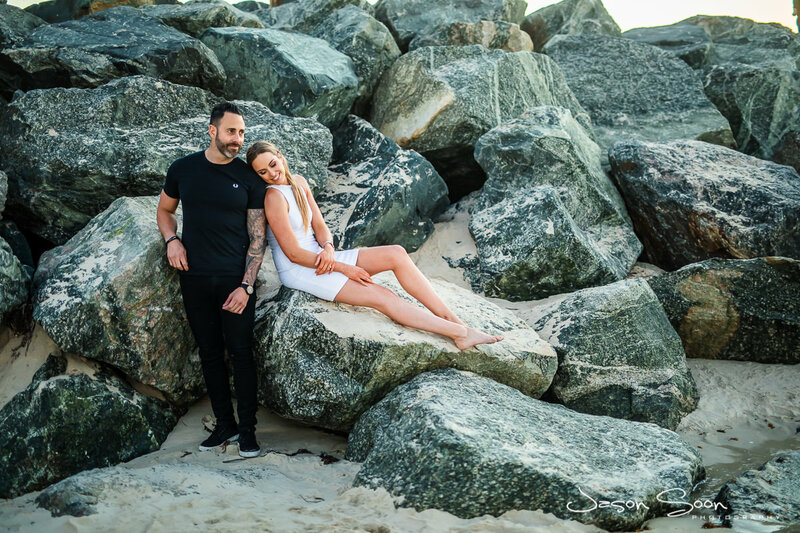 But her career took her to the other side where she began a short-term contract. 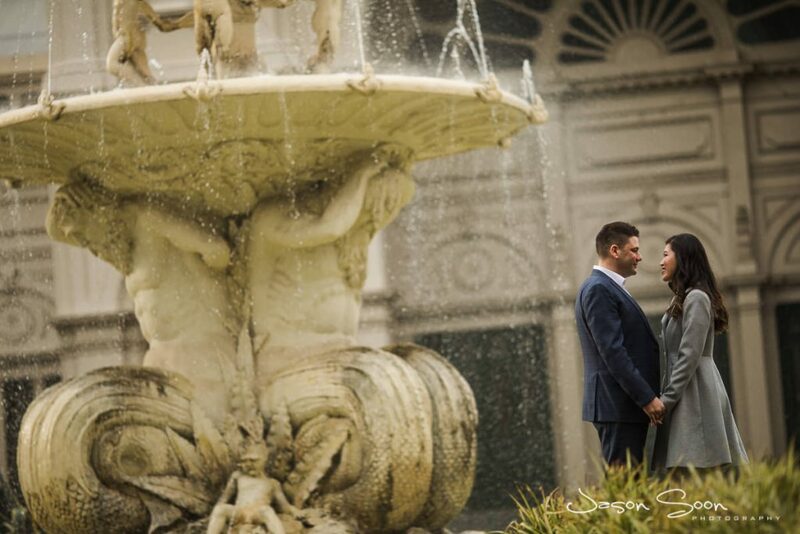 Before you know it, she found love in Adam and decided to make Melbourne her home ever since. I think Melbourne is a scene that can so easily be photographed, so when I was informed of the destination for the shoot, I was beyond ecstatic. I love love LOVE Melbourne and shooting there is a treat. 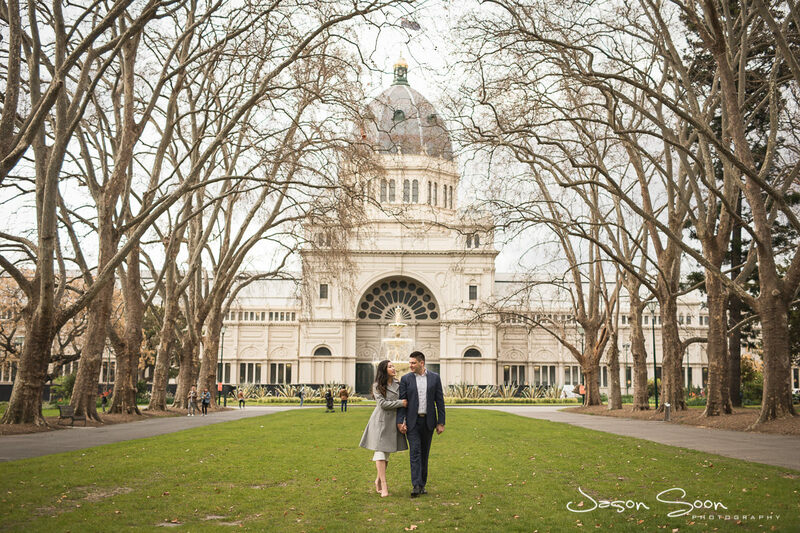 One of the sites we visited was The Royal Exhibition Building, it is a World Heritage Site – oh and one of my favourite spots obviously. 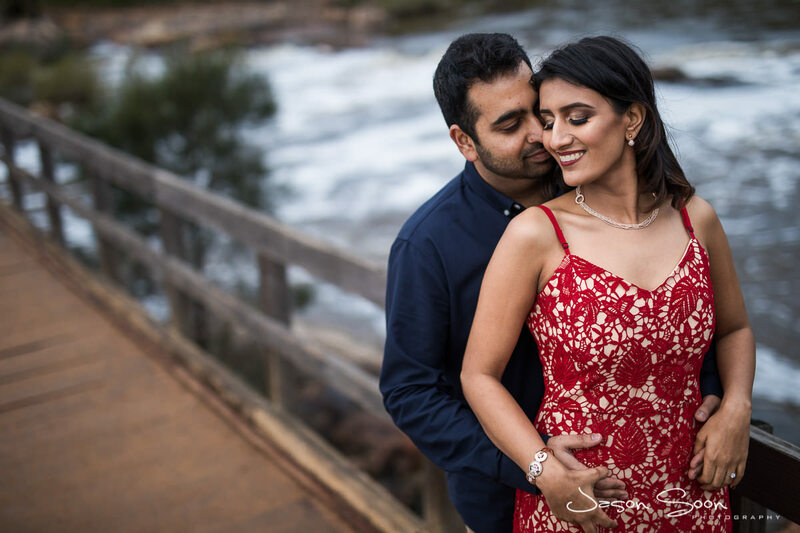 I cannot wait for the wedding in Perth guys, wishing you all the best and a happy future together. 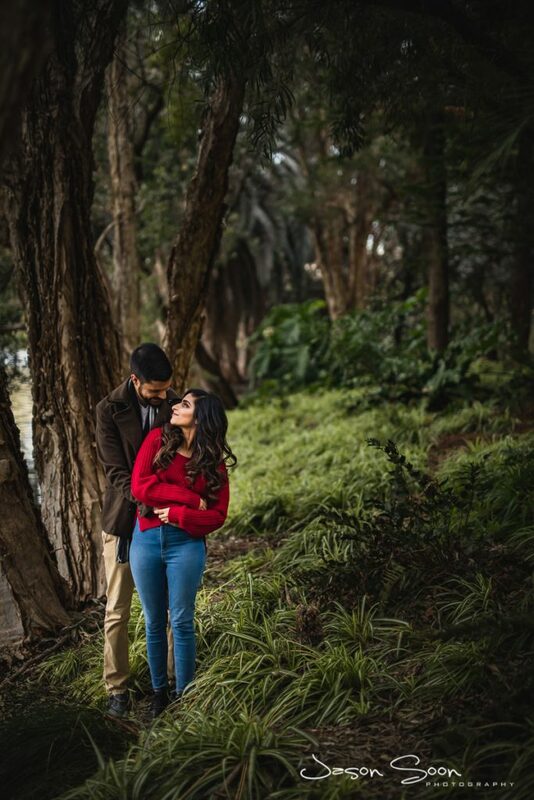 Who Else Wants An Engagement Shoot Like This? 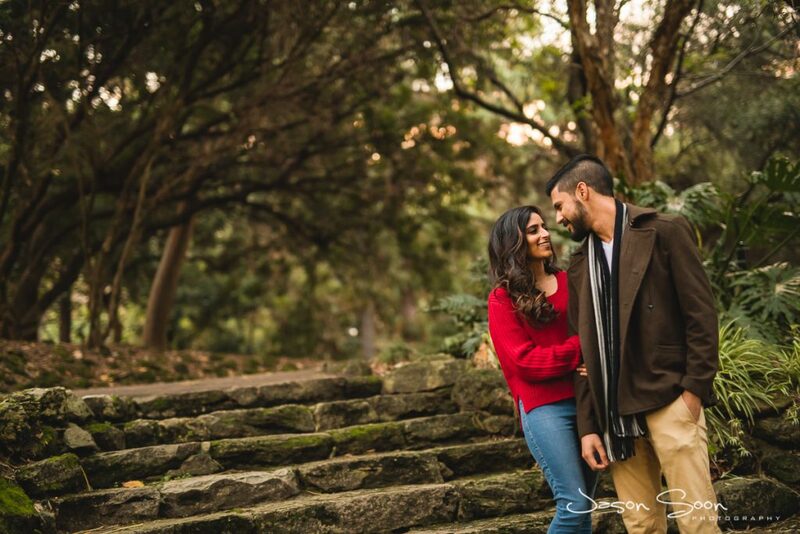 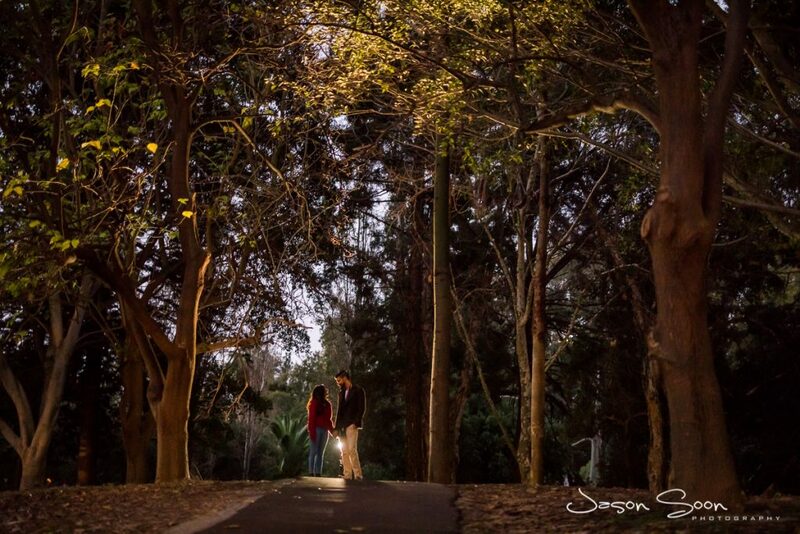 There was something truly whimsical and enchanting about this engagement shoot. 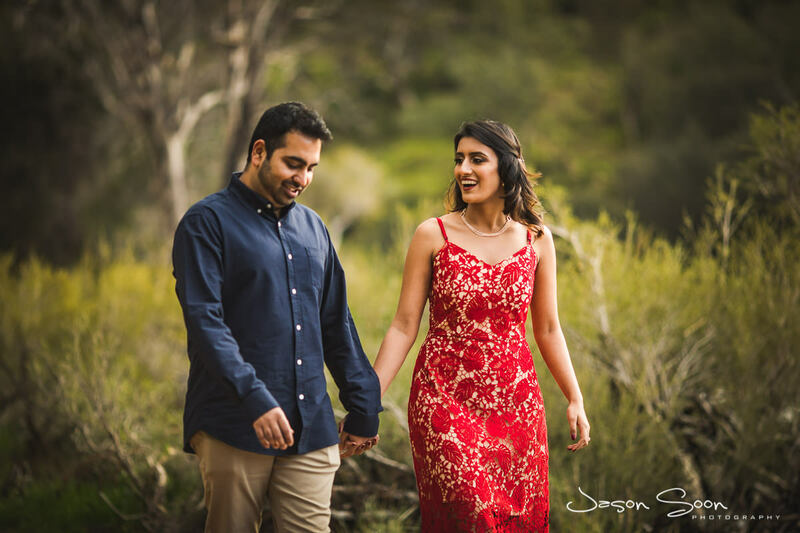 When I first had the chance to meet Arohi and Arvin, we clicked right away and I knew we would work very well together. We had great conversation and I began to fall in love with their love tale. 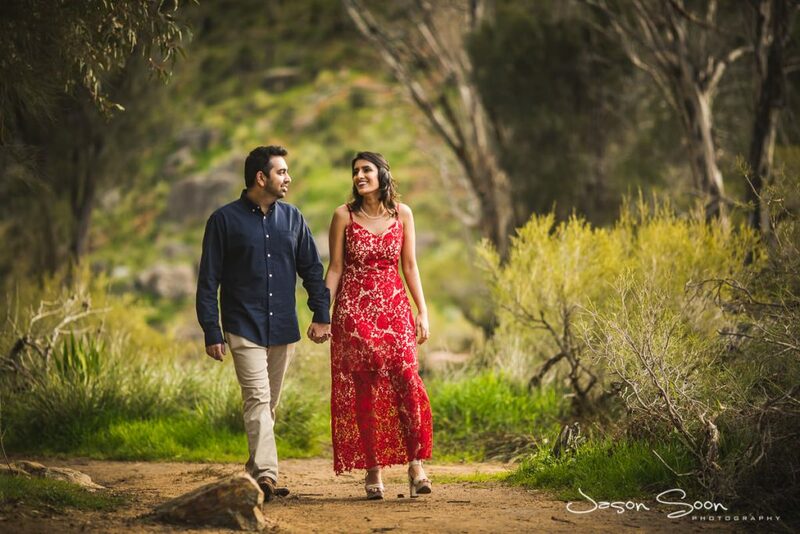 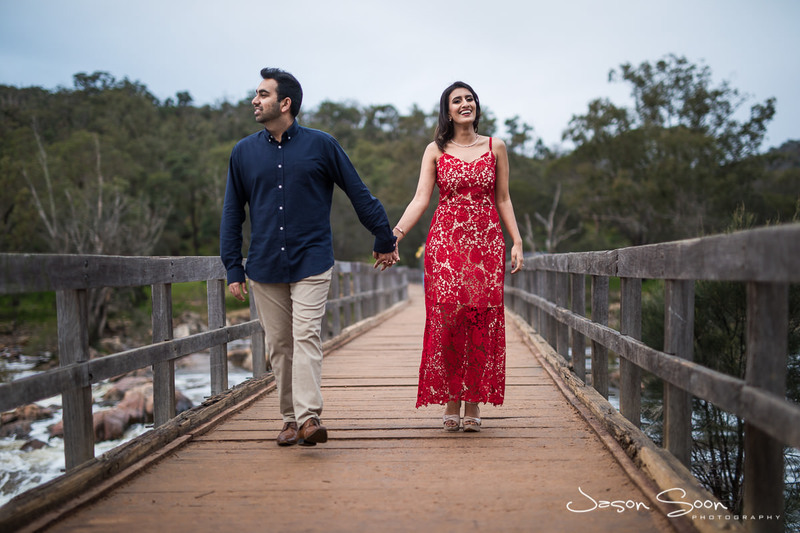 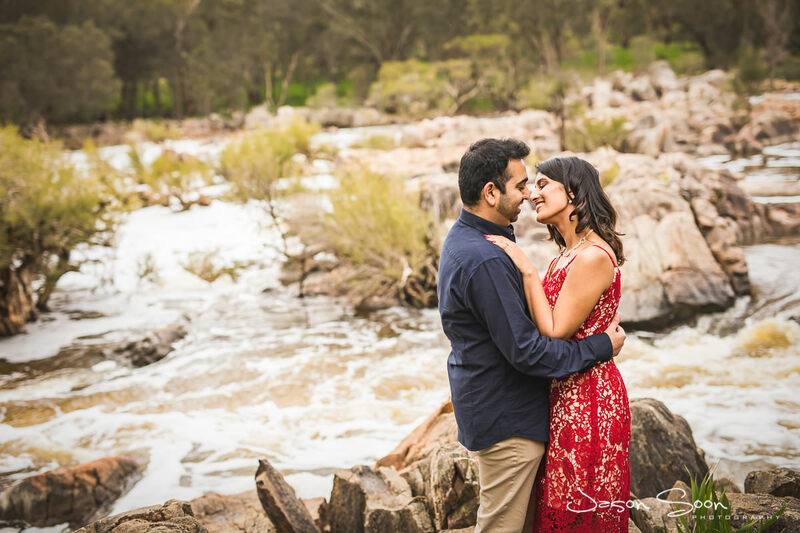 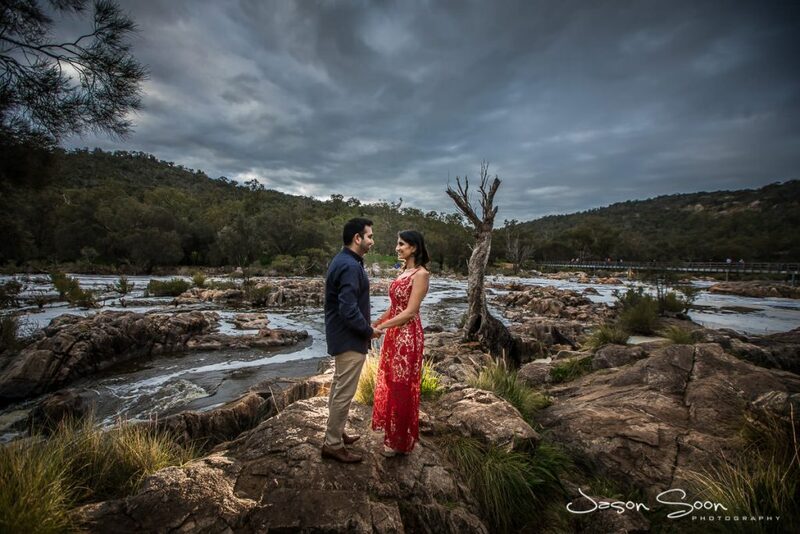 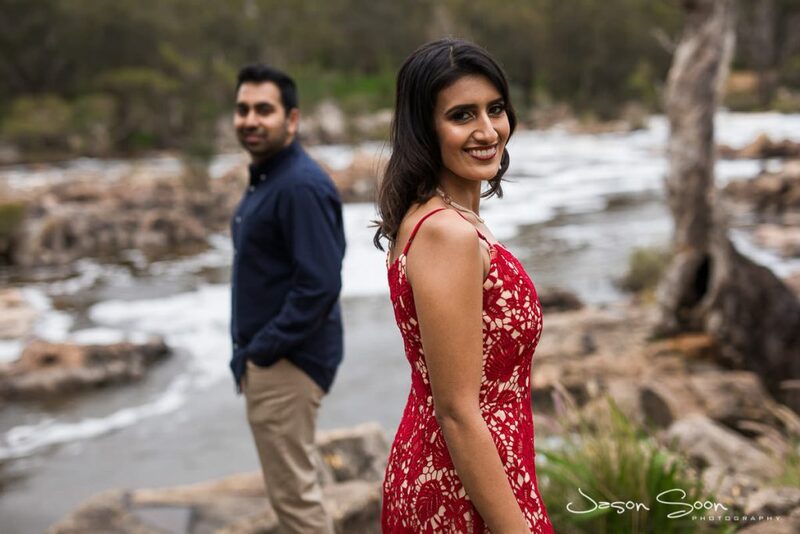 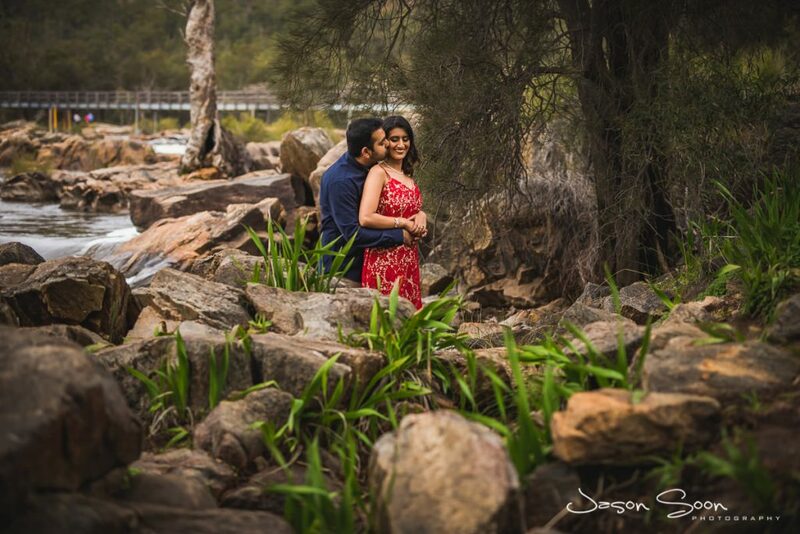 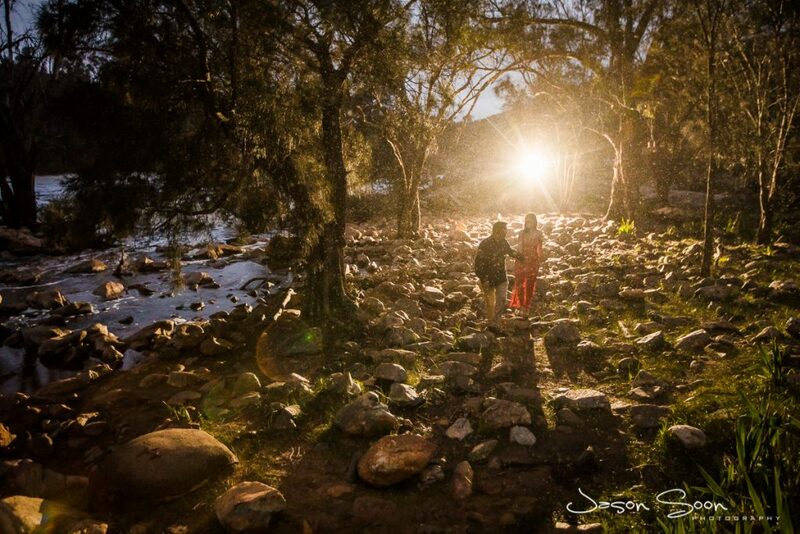 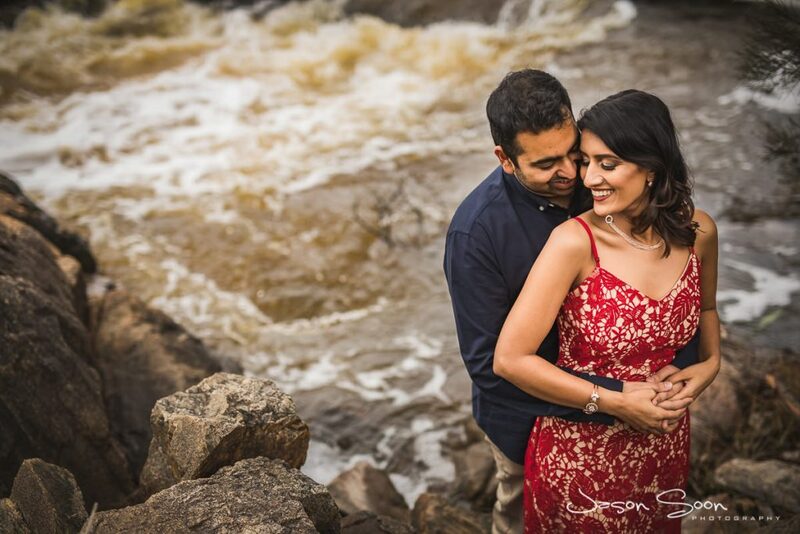 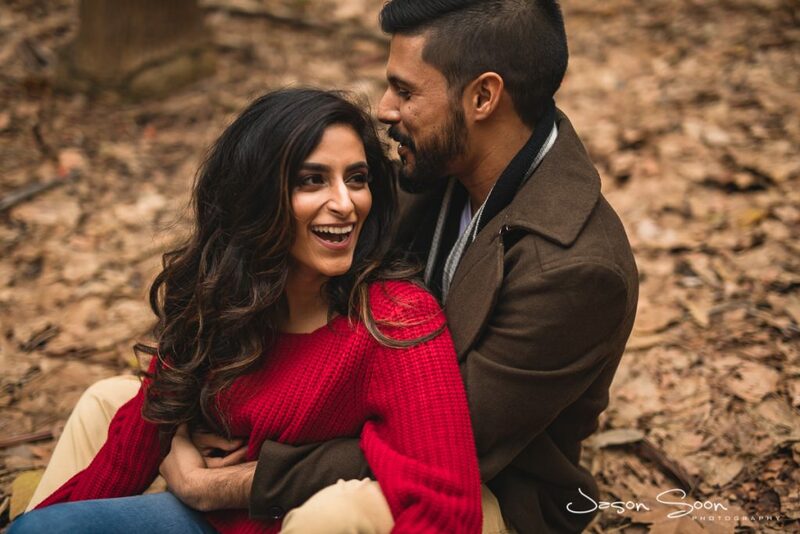 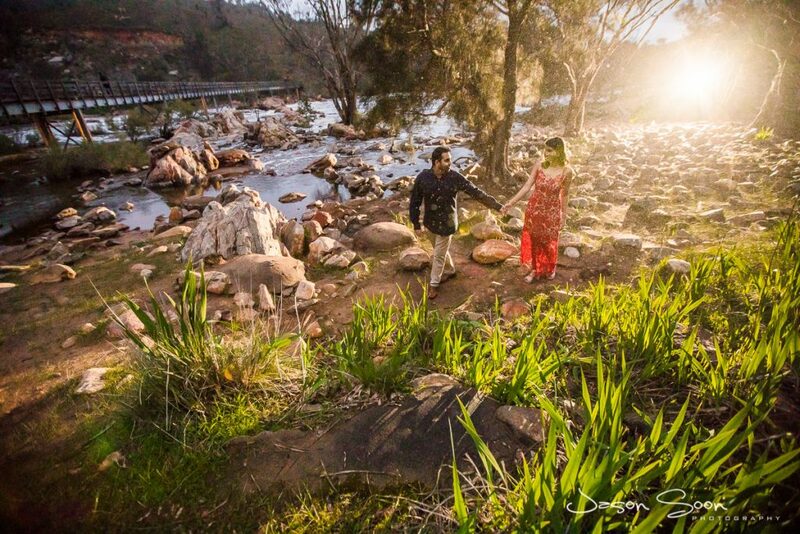 Before you know it, our pre-wedding shoot was set at Bells Rapids, as you know this is one of my FAVOURITE locations to shoot engagement shoots. As the day carried on we started to experience a bit of drizzle, of course this only resulted in more awesome shots. 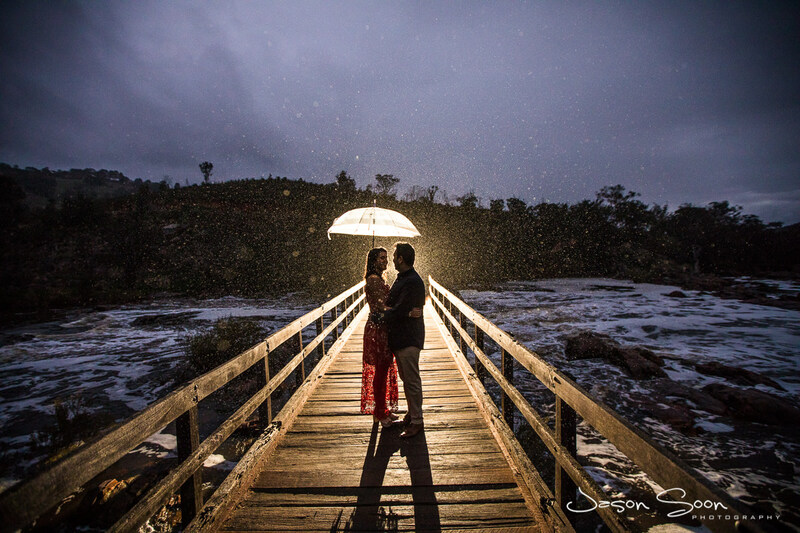 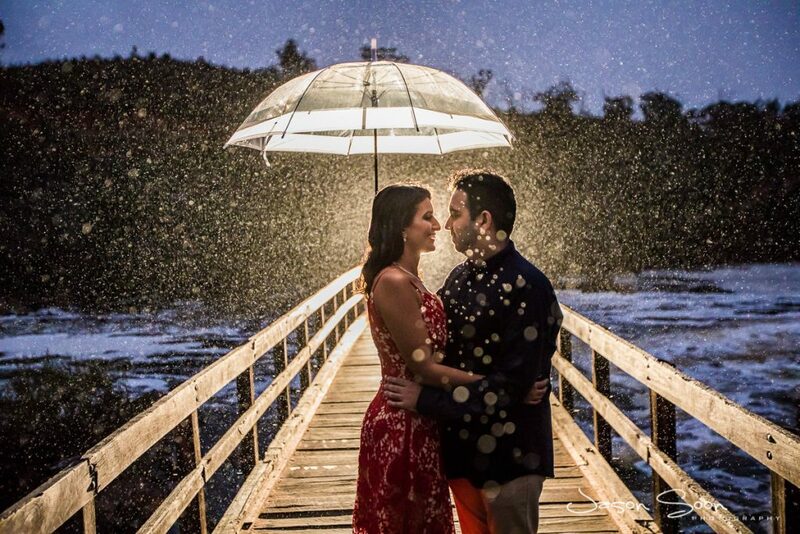 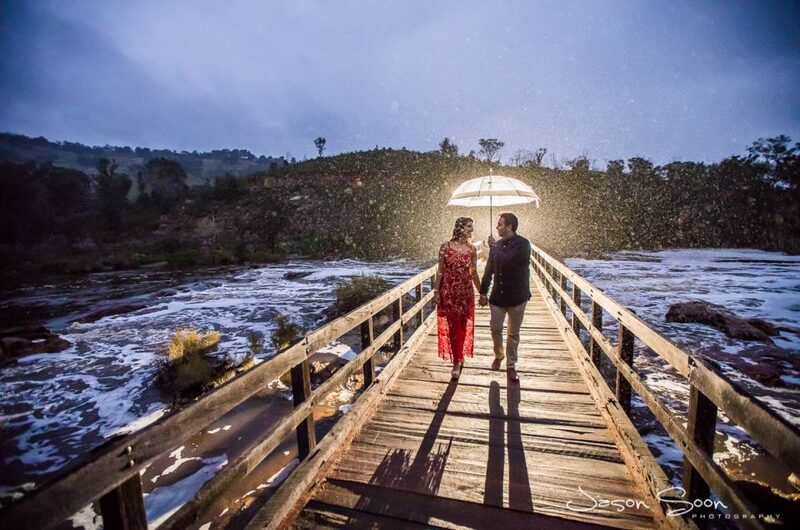 The rain added a romantic ambience, we were prepared with an umbrella, so don’t worry – if it ever rains, it might actually work out for the better. I mean check it out!